— A new TV commercial set to air during the Super Bowl blends the imagery of NASA's Apollo program with the score of David Bowie's "Starman" to challenge car buyers to "choose the moon." 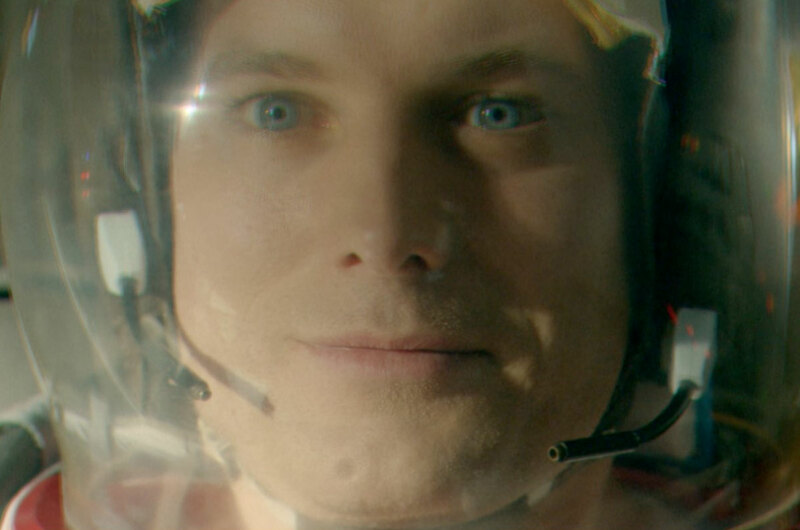 Audi on Wednesday (Feb. 3) debuted its astronaut-themed ad, "Commander," which is scheduled to run Sunday (Feb. 7) during the first quarter of the game between the Denver Broncos and Carolina Panthers football teams. The 60-second spot opens on a (fictional) retired astronaut sitting solemnly, while surrounded by memorabilia from the golden age of space exploration. When his son hands over the keys to an Audi R8 V10 Plus, he gets behind the wheel and relives the thrill of a Saturn V-rocket-like ride under the stars. 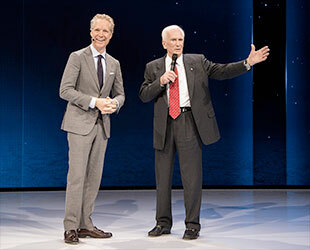 "The legacy of the first moon landing lives on at Audi. The same spirit of discovery drives us to dream, innovate and explore, from creating a car that goes 205 mph to building a lunar rover," the car company proclaimed on its website. "It's why we're constantly pushing the boundaries of what's possible." "Choosing the moon brings out the best in us," concluded the automobile manufacturer, repeating the tagline from its commercial, which itself is a reference to the "choose the moon" speech President John F. Kennedy gave in 1961 to challenge the United States to send men to the moon. Audi on Wednesday also rolled out a 90-second version of the commercial on YouTube. The spot was created by San Francisco-based Venables Bell & Partners. In addition to NASA footage of Saturn V rockets launching to the moon, the ad also features the 1972 song "Starman" by David Bowie, who recently died on Jan. 10. The song, one of Bowie's most famous tracks, has received renewed attention as of late, in part due to the singer's passing, but also because it was featured in the movie, "The Martian." 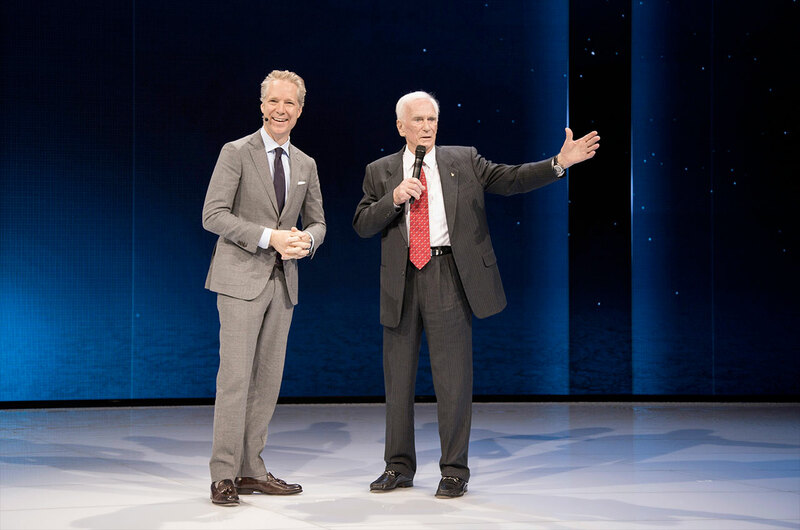 Audi first teased the Super Bowl ad in January at the North American International Auto Show in Detroit, where a real Apollo commander took the stage. "Is there an interest in cars? An interest in space? Is there interest in innovation? There it is folks," said Gene Cernan, commander of the Apollo 17 mission, which was the last to land astronauts on the moon in 1972. In addition to promoting the new R8, the fastest and most powerful Audi of all time, the ad is also a subtle reference the company's involvement in the Google Lunar XPrize. In June 2015, Audi partnered with the Berlin-based Part-Time Scientists to build the Audi Lunar Quattro rover, an entry in the private moon race. The four-wheeled rover is targeted to launch to the moon next year on a robotic mission to land in the Taurus-Littrow valley, where Cernan and Harrison Schmitt drove a Lunar Roving Vehicle during Apollo 17. 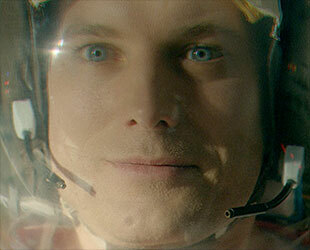 Audi is not the first car company to draw inspiration from space for its Big Game commercials. In 2013 during Super Bowl XLVII (47), Toyota aired an ad featuring footage of its Tundra truck towing space shuttle Endeavour through the streets of Los Angeles, on its way to the California Science Center for display.